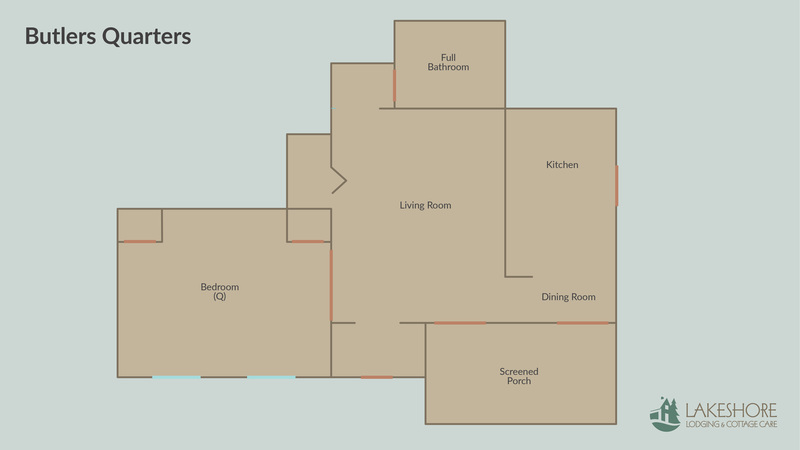 Butlers Quarters is a 1-bedroom unit in a 2-unit cottage. The home is located right in the midst of the active Butler St. The rental is located entirely on the 1st floor of the home. The living area includes a full sleeper sofa and a TV. The other side of the living room. Walk out to the screened porch from the living room. There's seating for two at the high-top dining table. The open floor plan connects the dining area to the kitchen. The kitchen has everything you need to fix a meal. The full bathroom includes a stand-in shower. French doors open into the cool blue bedroom. The bedroom features a queen-sized bed. Large windows allow in plenty of natural light. 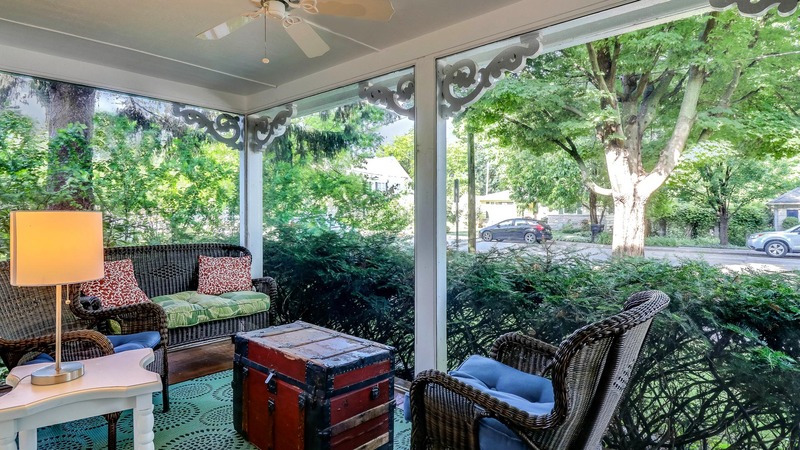 The quaintly decorated screened porch. A great spot for a morning coffee or an evening glass of wine. Cook out on the gas grill. The back deck area is lushly landscaped and feels very private. 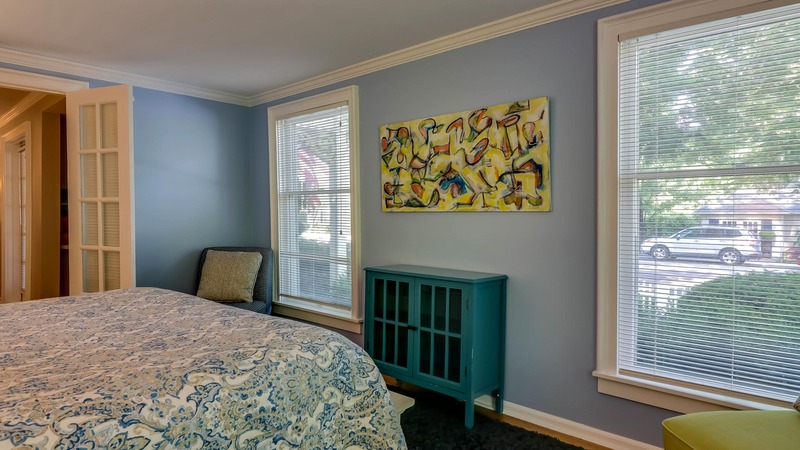 This quaint two-unit home centrally located right in downtown Saugatuck. Butlers Quarters makes up the home's first floor and features great spaces to enjoy fresh air as well as hunker down for the night. 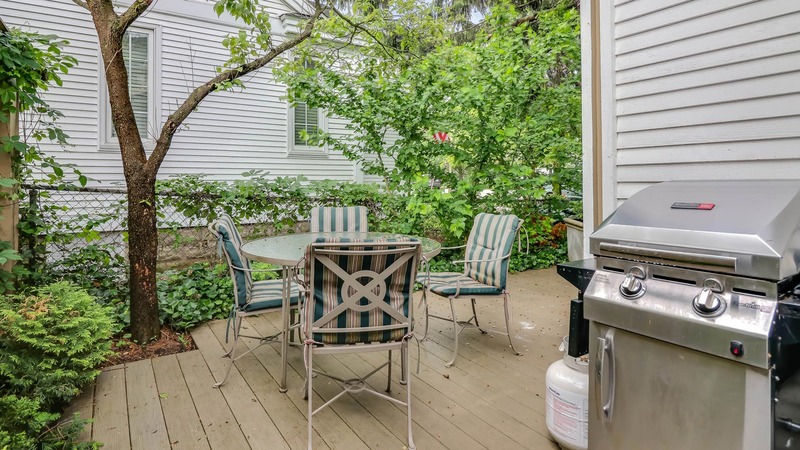 While the rental is located in the center of the action of Saugatuck, the home's landscaping lends it some privacy. This in-town rental is dog friendly, too! 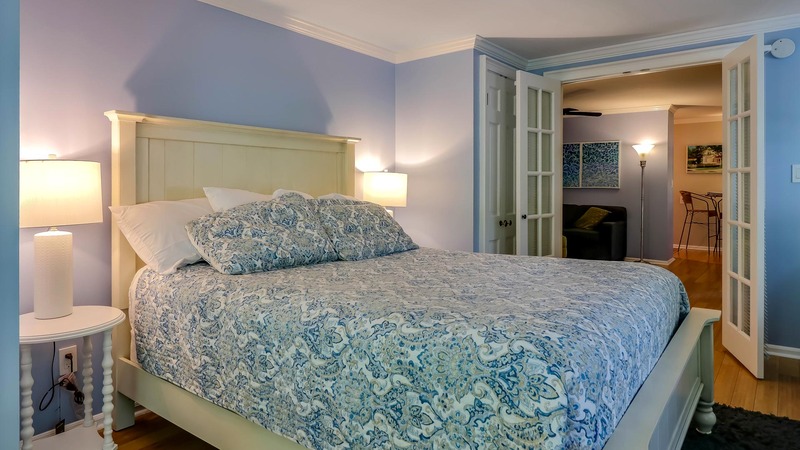 Butlers Quarters is popular because it puts guests just one block away from the main shopping district of downtown Saugatuck. Shop, dine, drink, and peruse galleries all within walking distance of your home base. Need to clear your head? A yoga studio is just a short walk from your door. If a day at the beach is in order, all it takes is an easy walk and ride on the Saugatuck Chain Ferry to get to Oval Beach. Or take the Interurban for just $1 fare per person.